Ah yes, there is nothing like a good swashbuckling movie. 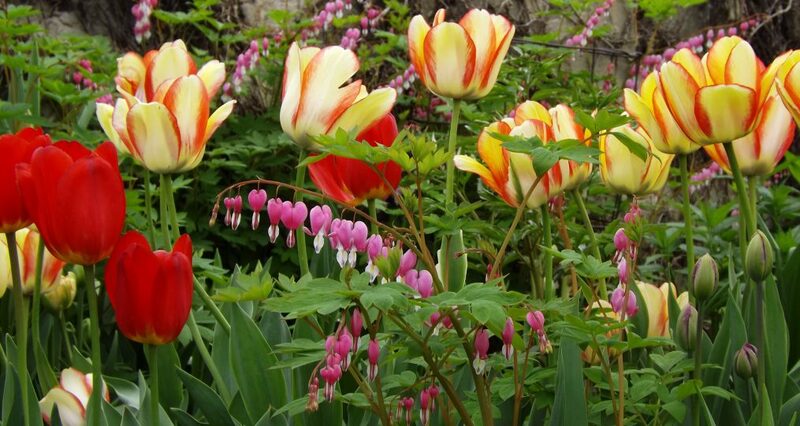 To be transported by the film makers to that time when men and women engaged in daring and romantic adventures! Oh yes, and they did it so well, the hero or heroine’s wish was to impress or attract attention. There was so much bravado and flamboyance. Who better, than the King of the swashbucklers to begin our journey. Errol Flynn made our hearts swoon with his romantic escapades. *Sigh* What a guy! My husband says, he’s athletic. Oh my goodness! 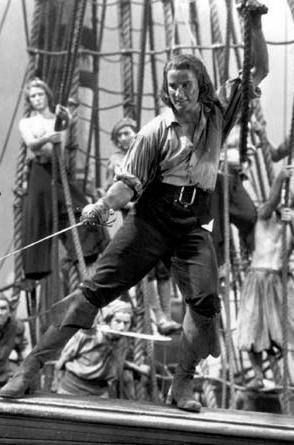 Who doesn’t swoon at the sight of Douglas Fairbanks Jr??? 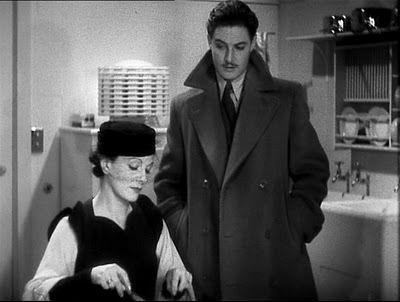 Ronald Colman is the second gentle man in the photo in, Prisoner of Zenda. 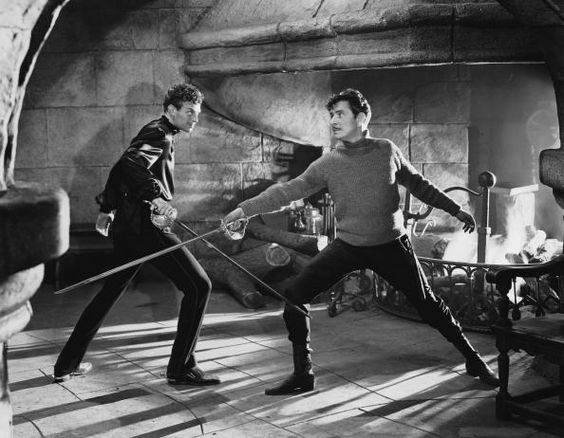 These men of the classics knew how to do swashbuckling right! 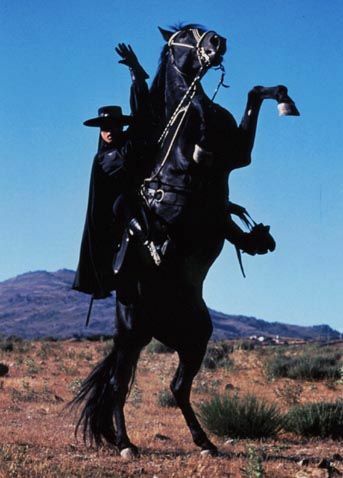 There is the Fox ~ Zorro and his horse Tornado! ~Mysterious ~Masculine ~Swoon worthy! “Sink meh,” Percy can wield a sword! 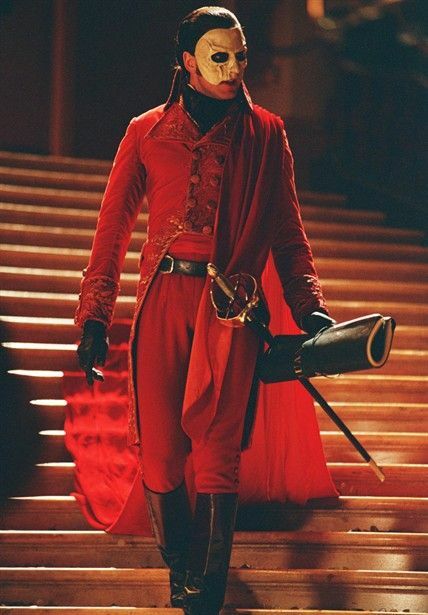 The Scarlet Pimpernel, the man of disguises! 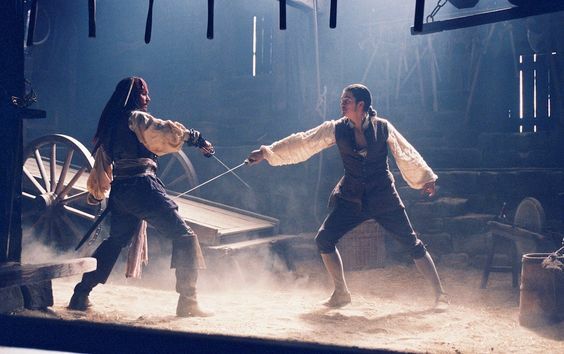 Epic contemporary sword play ~ the rogue and the swashbuckling hero in, Pirates of the Caribbean. If all phantoms could look like this??? Whoops! Did I say that out loud??? He was obsessed, wounded, mysterious. Me thinks he would be the “rogue.” Of course, we all remember the slashing sword fight at the cemetery! My hubby is teasing me as I conclude this sudden blog post. You might ask, why is he teasing you??? Thank-you for asking! 🙂 One night, I was lying on the couch and a movie came on television. There was a castle with a moat. Weeeeeellll, a man in a dark costume came up out of the moat and I came up off the couch. Rick has never let me forget that. He has teased me without mercy and he is teasing me now. 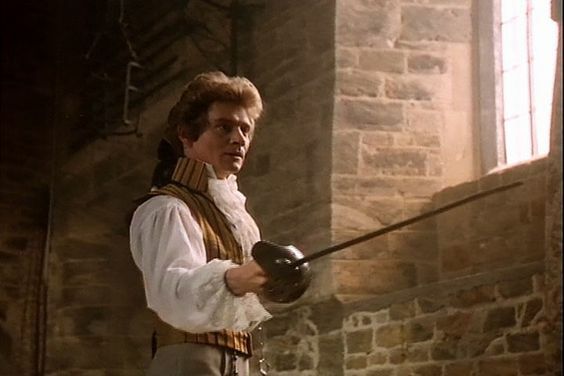 So, it might be a good idea to watch swashbuckling movies alone. Of course, there are many more heroic movies, I have just listed a few. Which ones have you watched? What are your favorites? lol. Enjoy! The book is usually better than the movie, however, this movie is hilarious! 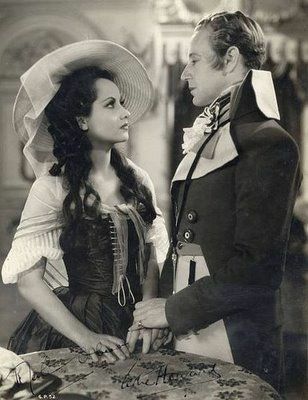 Leslie Howard (Percy Blakeney) was excellent! Oh yea! He nailed it. I am sorry to say, the movie only takes the viewer halfway through the book, but it’s still a fun movie. classicsandcraziness included music, but I omitted it because, even though I love music, I didn’t know where to begin. 🙂 I like classical, worship/Christian, jazz/swing and on and on the list goes. If you are reading this, you are tagged. That’s right, everyone is tagged! OH MY GOODNESS! I love Charlie Chan mysteries. Charlie Chan was played by three different actors, however, my favorite was Sidney Toler. 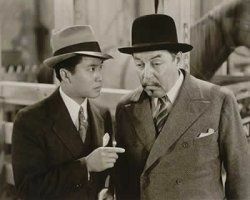 Victor Sen Yung played Charlie Chan’s #1 son, Jimmy. Jimmy was always very proud of his famous detective father. Jimmy was also a little tooooo helpful. 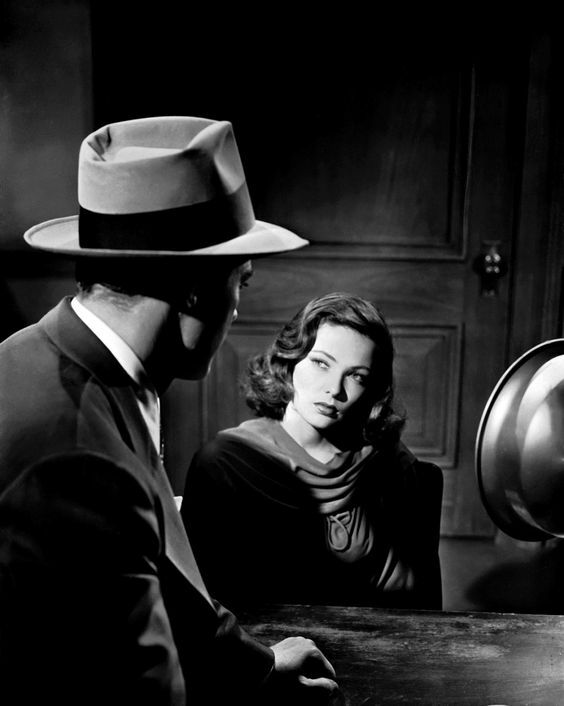 I will never forget the first time I saw “Laura,” starring Gene Tierney and Dana Andrews. I was so surprised! I loved it. What a twist! I’ve read the book too! “Rebecca!” Oh my goodness! This is a Hitchcock movie. 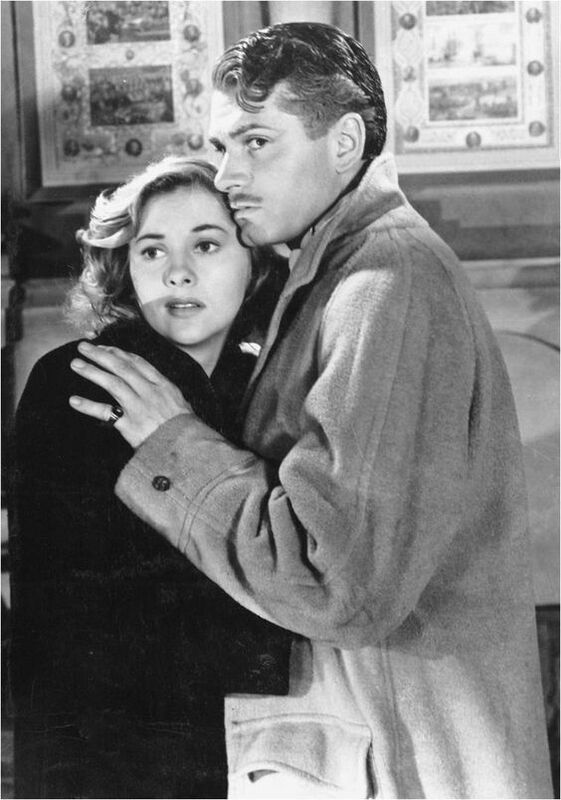 Joan Fontaine and Lawrence Olivier are in this movie of murder and suspense. I read the book before I saw the movie. Loved them both. So, there you have it! Murder ~ The Early Years. There are so many more I could name. This list is but a few. Enjoy! So, there is a murder at the pizza joint. HORRORS! 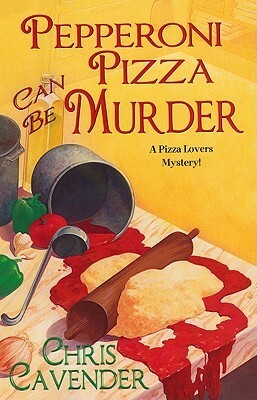 While the citizens of Timber Ridge, North Carolina are snug in their beds, sleeping soundly, someone enters “A Slice of Delight,” the local pizzeria and murders Wade. Wade’s brother, Greg, is a suspect in the investigation. Eleanor, the owner of the pizzeria, and her sister decide to prove Greg’s innocent. This is a good solid cozy mystery. I really don’t have much to say about it. 5***** stars! No one does it like Hitchcock! Espionage, murder, counterespionage! A man on the run ~ hunted ~ that’s right ~ hunted, accused! A spy ring! Top secret information! Mounted Police Office Conniston has tracked and captured the outlaw John Keith for killing a judge. The two men are holed up in a cabin, in the Hudson Bay area, because of an Artic storm. Brrrr. Conniston is dying, so, because of a resemblance to one another, they believe they can successfully change identities and Keith can return to civilization as Conniston. This was such a good adventure story. 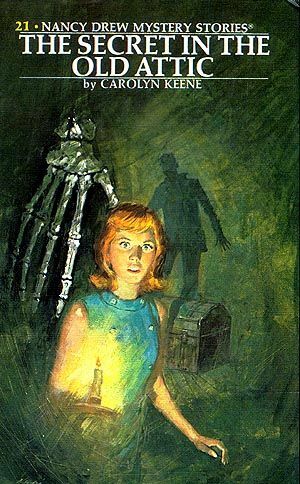 There was always a sense of foreboding ~ will the characters who knew Conniston believe Keith is Conniston? There were surprises in the story leaving this reader wondering if Keith’s secret was going to be revealed. There was a mystery with one of the characters. And, each time I read a book by Curwood, I either get frostbite because he describes the northern winters so well, or I get lost in the wilderness, fearing I will never return to land of people. 5***** adventuress stars!